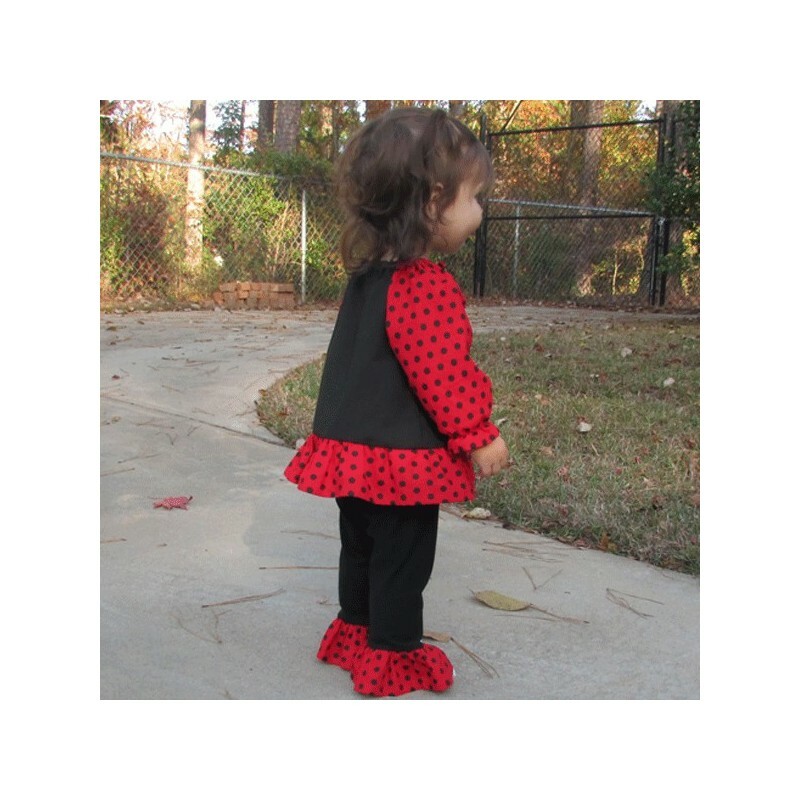 We think this is the cutest ladybug baby & toddler outfit we've ever seen! 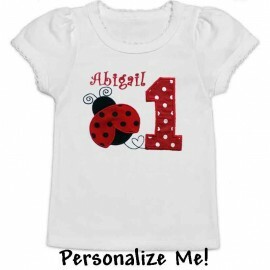 Your little girl will look so stinkin' cute, she'll want to wear it every day! Choose Short or long sleeve + 3 more options! 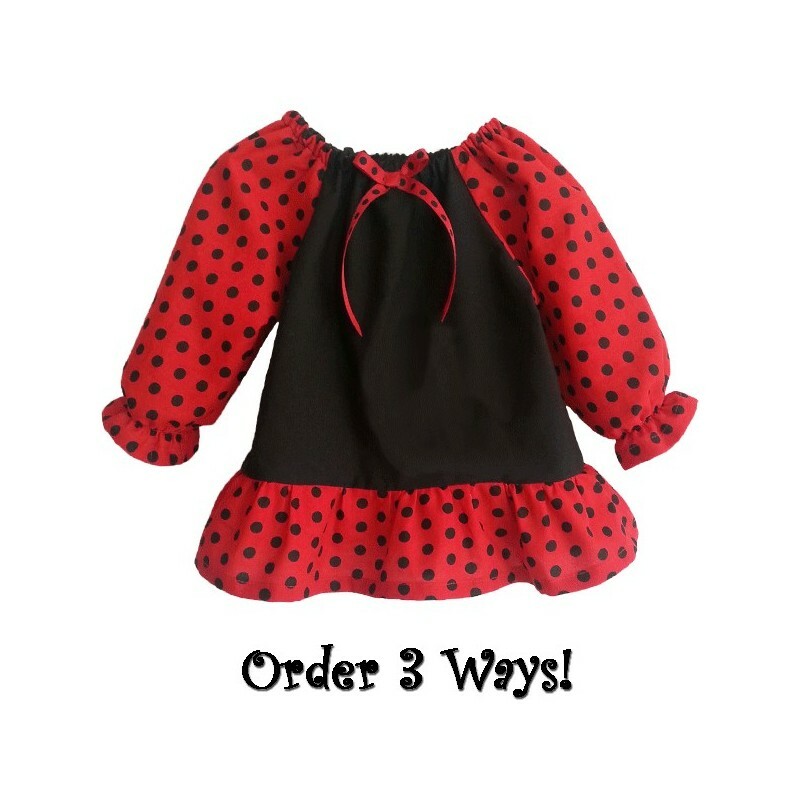 Available 3 ways: 1. With ladybug applique 2. 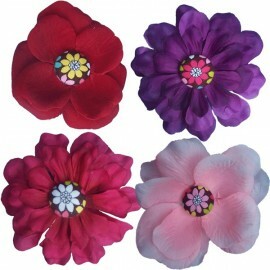 No applique 3. 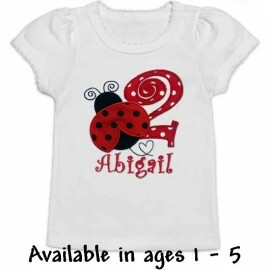 With her age appliqued in red & white polka dots. Perfect for birthdays! 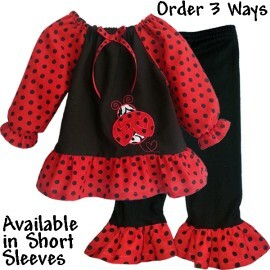 She'll look so stinkin' cute in this adorable ladybug outfit. 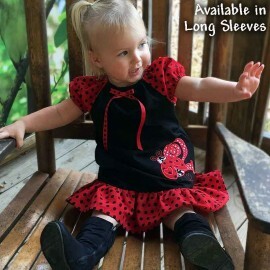 Perfect for birthdays, parties, family get togethers, or anytime she wants to look extra cute! The pants are ultra soft stretch cotton so they'll move with her. 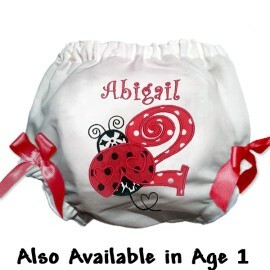 Available in 3 month to 4T. 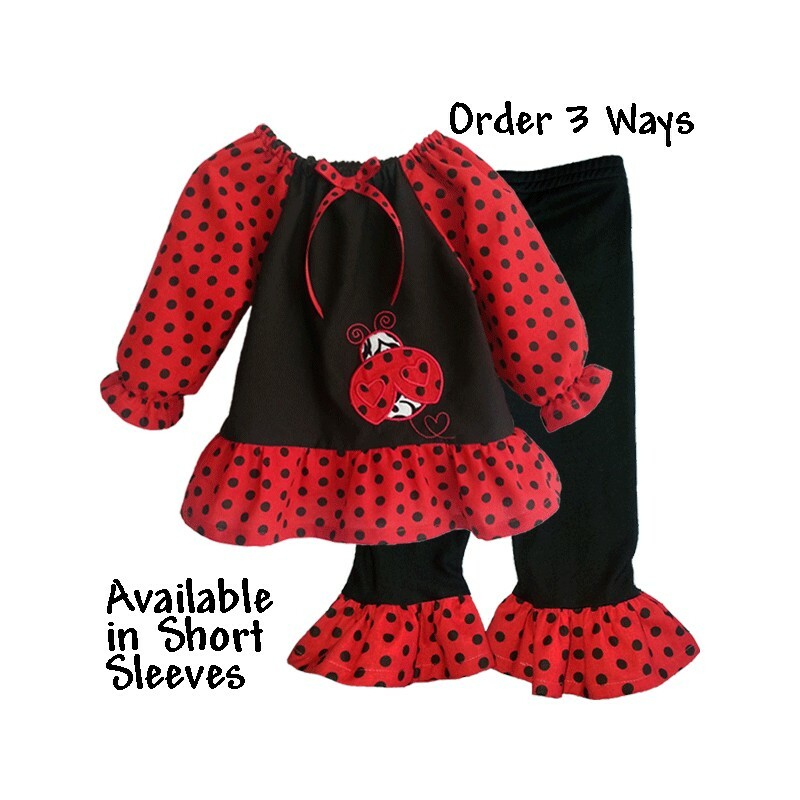 Makes the perfect big sister - little sister outfit! Features: Short sleeve style features cute cap sleeves with comfort elastic. 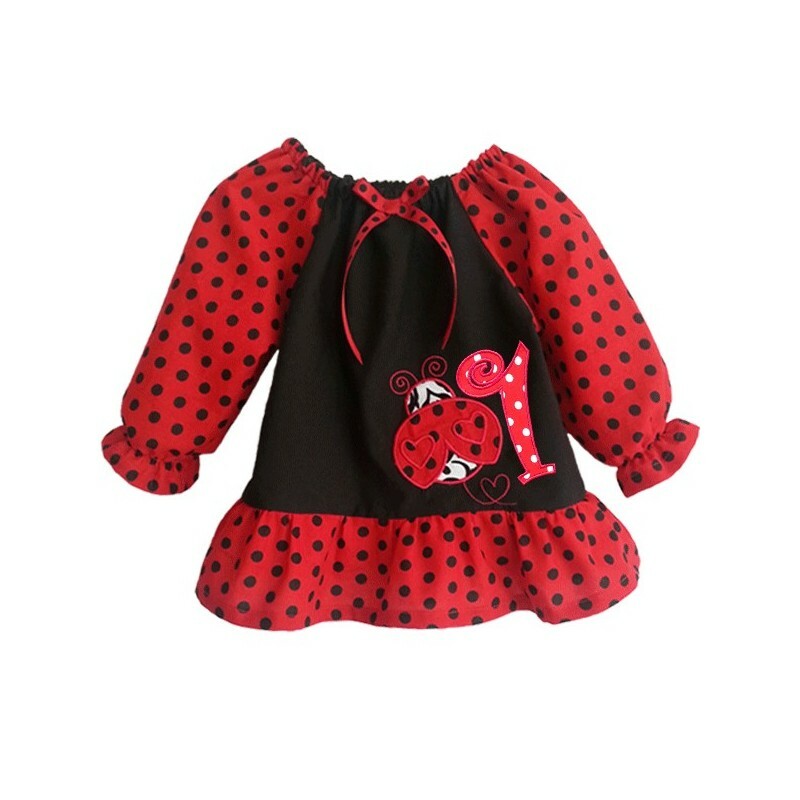 Ladybug applique. Ribbon bow at neckline for added cuteness. Pants are ultra soft stretch cotton with anti-roll comfort waist.